After the frenzy of the holidays gone by, this green bean and shrimp stir-fry was such as welcome change for lunch today. It requires but few simple ingredients and goes from kitchen to table in less than 20 minutes. And super delicious, too. 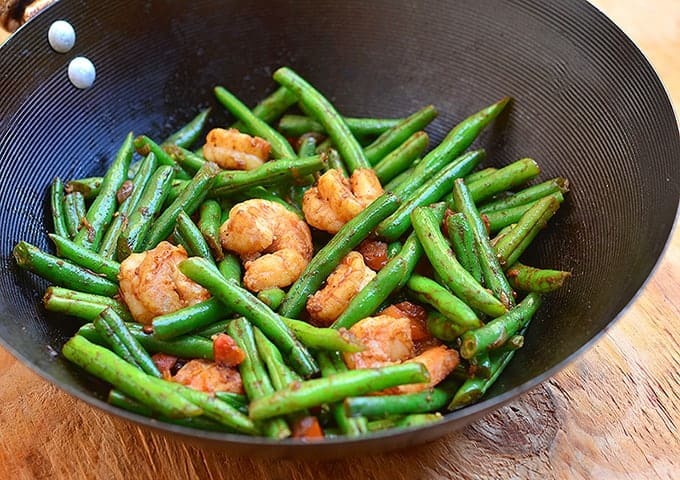 The crisp green beans and plump shrimps lightly coated with a sweet and salty sauce were so good over rice, I derailed my 2015 weight loss resolution the second day of the year. In a small bowl, combine soy sauce and sugar and stir until sugar is dissolved. Set aside. In a wide pan or wok over high heat, heat oil. Add shrimps and cook, stirring frequently, for about 1 to 2 minutes or just until color changes to pink. Remove from pan and keep warm. In the pan, add green beans and cook, stirring regularly, for about 3 to 4 minutes. Add onions and garlic and cook, stirring regularly, for about 1 to 2 minutes. Add tomatoes and cook, stirring regularly, until they begin to soften. Add soy sauce-sugar mixture and shrimp. Season generously with pepper. 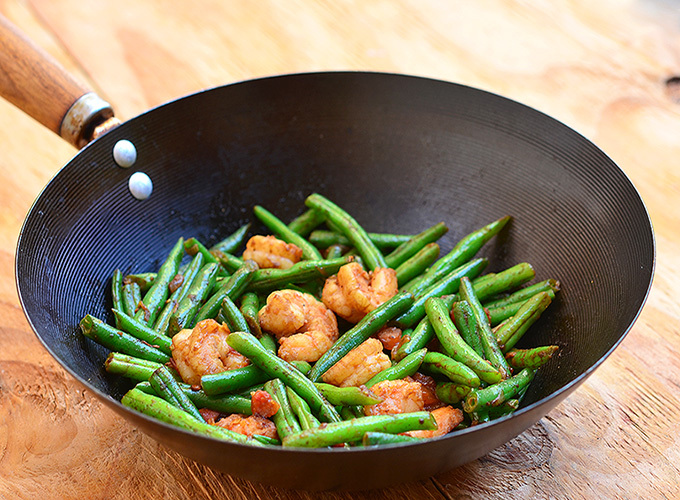 Continue to cook for about 1 to 2 minutes or until green beans are tender yet crisp and shrimps are cooked through. Serve hot. I tried this and it’s yummy!😋 i really like your site! Keep it up! Thank you so much, Maria! I enjoyed reading your site , recipes are good and delicious. I hope you have wonderful new year. Thank you so much, Cesar. I really appreciate your feedback. Have a blessed 2015!